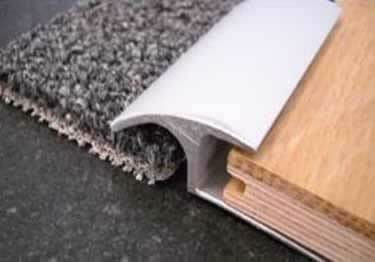 Roppe Vinyl Reducers create a professional finish to any carpet, vinyl, rubber tile edge while also protecting it from wear and tear. Perfect for commercial or residential applications where strong protection is important. Does this come in a 3" or greater width? Does this product curve to 36 inch radius? Exactly as described, exactly what i needed. Great customer support both before and after sale. Thank you for your review and also thank you for the kind words about our customer support. Product was just what I needed and exactly as described on website from color, as well as dimensions. Thanks Koffler Sales for helping me to complete my transition. Loved the color selections and accuracy online. Good description of product and exactly what I was looking for.